Gin, the drink many adore and many others say tastes like a pine tree. Wherever you land on the spectrum, there is no denying gin has made a comeback in a big way. Gin has returned to its rightful place, featured prominently on cocktail menus. Today, there are more varieties of distinct, flavorful gins available on the market. Gin has been on a long journey from America’s most popular spirit and a fall to obscurity and back again. The story involves bathtubs, a British spy, and some very creative bartenders. Before we get too far, let’s address an important question, what is gin? Gin is a clear spirit made from a mash of cereal grain and flavored with botanicals. Hate to be the bearer of bad news to fellow gin snobs, but this means by definition, gin is nothing more than flavored vodka. This is a terrible, dark reality to suddenly find yourself in, but like realizing Judy Garland never won an Oscar, it really is best for you to just accept it and move on. The most predominant botanical used to flavor gin is juniper berries. Other common ingredients include citrus peel, coriander, cardamom, lavender, bay leaf, and ginger. The use of juniper infused spirits for medicinal purposes dates all the way back to the Ancient Greeks, but what we would now call gin was first developed by the Dutch in the seventeenth century. English soldiers were given “Dutch courage” to survive the cold, damp conditions during the Thirty Years War. As the soldiers returned home, gin made its way to England where it was widely produced in an unregulated market. The gin was pretty crude but cheap and became quite popular among the English lower class. After a series of reforms aimed at regulating gin distillation throughout the 1700s and 1800s, gin became the more subtle, refined spirit we know today. 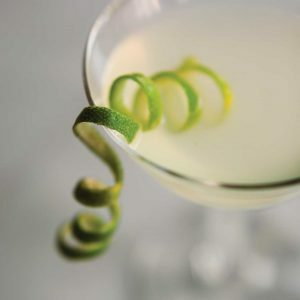 Classic gin cocktails like the gin and tonic, gimlet, and martini were developed and gin eventually became a part of high society. And the first in a long line of illustrious gin snobs was born. Gin has been in the US at least since the Dutch established a colony in New York (or New Amsterdam as it was then known) but didn’t become widely popular until the early twentieth century. It may seem surprising, but gin was at its most popular during prohibition. This was not because of a change in the public’s taste, but rather because of what was available. If you weren’t buying alcohol that had been smuggled in, you had to make your own booze. Because “bathtub gin” was the easiest to make discretely and cheaply, it became a staple of the prohibition era. 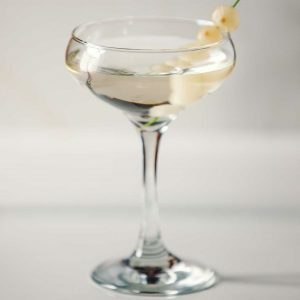 However, the rudimentary “gin” would taste so terrible that bartenders had to mix it with other ingredients- bitters, sodas, juices, herbs- which led to the cocktail’s golden age. Thirteen years of prohibition changed what Americans drank. Gin remained extremely popular through the 1930s but slowly began to fade, especially in the years after World War II. A combination of many factors including US whiskey distilleries reopening, a decline in cocktail culture as recently returned soldiers focused on their families, and more readily available Caribbean rum led to decline in gin sales in the US. Gin’s decline was solidified when the 1962 James Bond film, Dr. No, featured the iconic British spy drinking vodka martinis. Vodka sales skyrocketed, and by 1967, vodka was outselling gin in the US. Gin may have been pushed aside but never totally disappeared largely thanks to the enduring popularity of the gin and tonic. It wasn’t until the last several years that gin made its long overdue comeback. The resurgence was likely a result of the renewed interest in cocktails, especially of classic cocktails, a large portion of which are gin based. Gin’s botanical flavors make it the perfect cocktail ingredient. It pairs extremely well with citrus juices commonly used in cocktails and provides depth and complexity of flavor in ways that other spirits simply do not. That gin lends itself so well to cocktails has been gin’s strength but it has also been its downfall. It has often been so closely associated with mixed drinks that it has not been thought of as a spirit to enjoy neat or on the rocks– although I and other avid gin drinkers would argue that this was never true. Because of this, demand for gin fell with the decline in cocktail culture. Now that cocktails are back, so is gin! This renewed interest in drinking gin cocktails has led to a renewed interest in making gin. 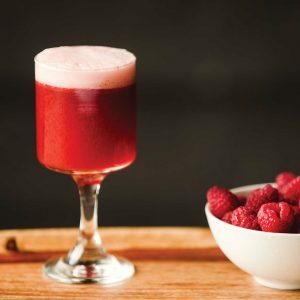 Now there are many diverse gins available that can stand up incredibly well on their own, while also adding compelling and unique flavors to cocktails. Botanicals ranging from cucumber to black pepper to tea are being used to flavor gin. With all these new flavors, there is a gin for everyone to imbibe. Gin’s future is far from certain. Many different types of alcohol from Japanese whiskey to pisco to craft beer are also having their moment. But if gin survived prohibition and James Bond, I don’t see it stepping into the shadows anytime soon. Explore all the Mr. Boston recipes featuring gin.